The world’s fleet of F-35 fighter jets will be kept in the air with the assistance of Hunter-based engineering company Nupress Tools which will supply engine parts for the aircraft both in Australia and around the world. 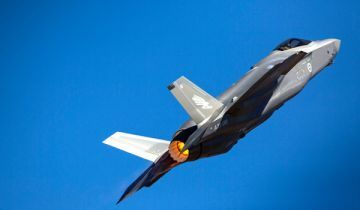 The Cardiff company has signed a seven-year multi-million dollar contract with international jet engine maker Pratt & Whitney to supply components to be used in the F135 engine, which will power every F-35 that will be built. 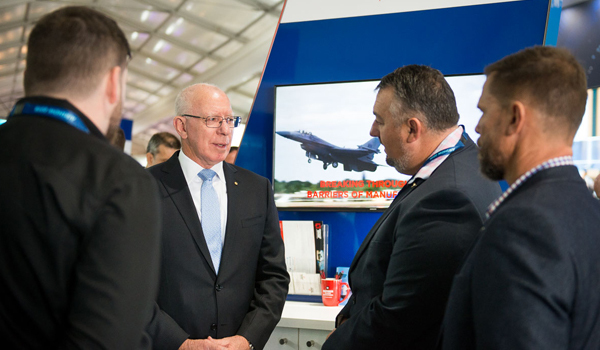 NSW Defence Advocate Air Marshal (Retd) John Harvey AM said Nupress Tools exhibited on the NSW Government’s Defence NSW stand at the recent Avalon Airshow, as the RAAF’s F-35s performed in the skies above. 'We had a great opportunity to promote Nupress Tools’ expertise to a global aerospace audience at Avalon 2019 on the NSW Aerospace Industry stand, and we are delighted that the company’s hard work and dedication has paid off so well with this major international contract,' AIRMSHL Harvey said. The F135 jet engine powers the F-35 fighter which is in service with the Royal Australian Air Force (RAAF), the US military, and nine other countries. It will eventually power several thousand aircraft in total. Nupress Tools is expected to start shipping five essential engine components to Pratt & Whitney in the US for inclusion in the F135 engine within 12 months, ensuring work for the company for many years to come. Nupress Tools will expand its workforce to meet the international demand for components for new F135 engines, as well as extra parts supplies to existing and future F-35 operators. 'The NSW Government supports a strong and capable NSW defence industry sector, both at home and in export markets. Nupress Tools is an example of what a small but capable and dedicated team can achieve in the face of international competition,' AIRMSHL Marshal Harvey said. 'Companies like Nupress, and many others across NSW and Australia, are part of a global supply chain for the F-35 which is the largest international defence program in the world. They are ensuring the F-35 fleets of Australia and our allies remain flying into the future,' AIRMSHL Harvey said.